Play Writing: Become the Next Shakespeare! 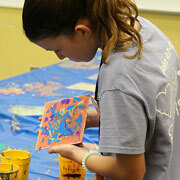 Classes involve ACTIVE PARTICIPATION with a variety of daily projects and group activities. 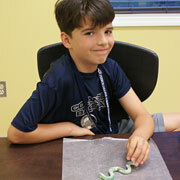 Instructors are specially chosen for their unique abilities to make learning come alive. Average class size is 12 participants. 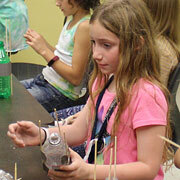 Campers are enrolled in four classes. Communicate in French and enjoy “un voyage imaginaire” to Paris and the provinces. Enjoy French music, learn about life in France, do some French cooking, and create your own personality collage “en francais”. It’s a culture all its own. International Style - Impress your family and friends as you become an international culinary wizard! Prepare appetizers, entrees and desserts from around the world. 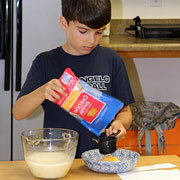 This class will also cover topics of food preparation and presentation, menu planning, kitchen safety and table manners. 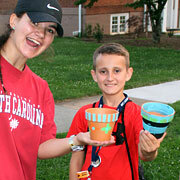 Bring your creative self to camp! Channel your creativity into unique creations! Design and build a working clock, (and learn the mechanics behind clock making and how a clock works); create a personalized garden stone; and make your own photo box. 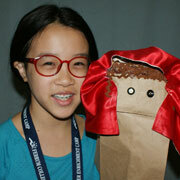 Take home lasting memories from FCSEC! Follow the evidence! Experience the real-life adventure of detective work from arrival on the scene, to collecting evidence, analyzing clues and drawing conclusions. Learn basic laboratory techniques including fingerprinting, blood typing, chromatography, and comparative analysis of microscopic evidence. Gereau Center Teacher of the Year (2017), Forensic Science teacher at The Gereau Center (2012-2015), member of Virginia Initiative for Science Teaching and Achievement (2012-2014), presenter at Virginia's Association of Science Teachers PDI (2013). 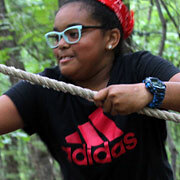 Head to the woods to challenge yourself on the Ferrum College Ropes Course! 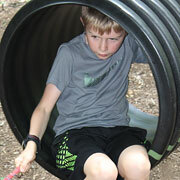 Spend the first two days on the low ropes learning about yourself and explore how we interact with others. Then head up into the trees for personal and team challenges on the high ropes course cumulating in a 500 foot-long zip line! Cap off the week with time on the climbing wall and rappelling tower. Love horses and want to know everything about them? This class will focus on the horse from an analytical perspective. Campers will learn about equine anatomy, breeds of horses, types of equipment, health care (taught by a veterinarian), and more! 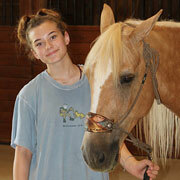 This is not a riding course but campers will be handling horses as part of the teaching. This class is held at Ferrum College’s Titmus Agriculture Center, a working farm, so campers must have appropriate shoes and attire. Get sorted! Enter the classroom of Harry Potter, and experience the education of the boy wizard with Ferrum College’s own internationally recognized Harry Potter expert. Study for your Ordinary Wizarding Level (O.W.L.s) exams in subject areas such as Charms, History of Magic, Potions, Transfiguration, Herbology, and Defense Against the Dark Arts. First years only! BA, Emory & Henry College; MA, The College of William & Mary: MA, Hollins University; and PhD, the University of North Carolina at Greensboro. Dr. Whited edited two books of essays on the Harry Potter series and a volume on the Hunger Games trilogy. An internationally recognized expert on the Harry Potter series, Dr. Whited serves as Minister of Magical Education for Diagon Valley (Roanoke’s Harry Potter festival) and has written about Harry Potter for many publications. In 2014, she was recognized with an Exemplary Teaching Award from the Board of Higher Education and Ministries of the United Methodist Church, and she was Ferrum College’s 2016 nominee for the State Council of Higher Education’s Outstanding Faculty Awards. Hogwarts upperclassmen do have their privileges. FCSEC repeaters may return to the classroom of Harry Potter and experience the education of the boy wizard with Ferrum College’s own internationally recognized Harry Potter expert. Returning students work toward completion of the Nastily Exhausting Wizarding Test, studying such subjects as Care of Magical Creatures, Arithmancy, Ancient Runes, and Divination. Also try out for the Quidditch team. The year is 1800. A 30-mile trip takes an entire day. John Adams is president, but you have never seen his image or heard his voice. You need real skills to keep your family warm and fed. 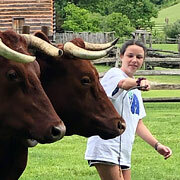 Step back in time at Ferrum College’s Blue Ridge Farm Museum, an 1800 living history farmstead, for hands-on training in oxen driving, open hearth cooking, cabin building, gardening, blacksmithing, and other tasks. 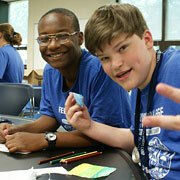 Learn two different skills each day in a one-of-a kind setting. The teachers of the Living 1800s Style class are interpreters & volunteers at the Blue Ridge Farm Museum, having 54 years of combined experience. Each instructor brings a unique skill set. 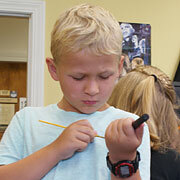 These include blacksmithing, pottery, spinning, farming & music. All are practiced in teaching Colonial Era skills. They are led by Rebecca Boone Austin, the Coordinator of Educational Outreach & Interpretation for the Blue Ridge Institute & Museum. Rebecca has been working at the Institute for 20 years, teaching a class for FCSEC class for the last 13 years. 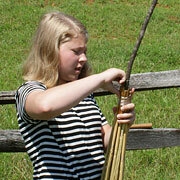 For more information about Ferrum College’s Blue Ridge Farm Museum visit http://www.blueridgeinstitute.org/farm.htm . This interactive hands on class will teach you the basics of using a compass and reading topographical maps through fun activities and orienteering. The map section covers different types of maps, contour lines, features, orienting the map, and matching it to the landscape. The compass portion is focused on the parts of the compass, taking field and map bearings, declination, and using it for navigation. Director of Ferrum Outdoors at Ferrum College. Aaron has a degree in Outdoor Recreation from Ferrum and a Masters in Recreation, Sport and Tourism from the University of Illinois, plus an extensive background in wilderness leadership. He has held positions of an Assistant Camp Director in Oregon, Program Director and Adventure Guide in Colorado, Recreation Manager for Franklin County Parks and Recreation and Outdoor Programmer for the City of Roanoke Park and Recreation. Mythology – The original Superheroes—the Greek and Roman gods and goddesses, the deities of Egypt, the Norse and Celtic immortals—squabbled with their peers, meddled in human affairs, and demanded respect and adoration. Now they are coming to our class. Explore the worlds of mythological gods and goddesses, create artwork, and take the forms of the deities for discussions and dramatizations. Fittingly, the week will close with an epic party for the ages! Contributor to The Ivory Tower and Harry Potter (essay excerpted in Introduction to Mythology: Contemporary Approaches to Classical and World Myths /Ed. Eva M. Thury, Margaret K. Devinney); co-editor of Critical Insights: Harry Potter. Even William Shakespeare had to start somewhere. In this class, learn to create your own plays. Then, get the chance to see them on stage. You will be coached in developing your own plot and writing exciting dialogue. All this is done in a fun and unique way. Discover your own creative abilities….the next Shakespeare may be you! Producer/Artistic Director, Ferrum College Blue Ridge Dinner Theater 1979-2012; Producer/Writer/Director of Ferrum College Jack Tale Players, 1975-2012; Numerous Publications and Articles related to Play and Tales; Directed over 150 Plays, Written/Produced over 30 Plays, Acted in over 100 Plays. Who doesn’t love a fun science project? In this class, science, technology, engineering, and mathematics (STEM) will be incorporated into fun and interesting activities. Campers will take on the roles of chemists, engineers, and rocket scientists to make slime, create volcanoes, construct bridges, build solar ovens, fly rockets, and more! Develop acting techniques and gain confidence in performing onstage. 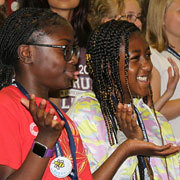 Learn the fundamentals of voice projection and articulation, teamwork, stage directions and use of props as you prepare a performance for camp friends for Friday evening. 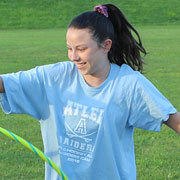 Daily warm-up activities and fast-paced theatre games add to the fun. You’re the composer and the DJ in your own musical world of looping and software tracking. Mix the popular with the exotic to build a completely personal sound of your own creation. At the end of each session you’ll have a one-of-a-kind song in the genre of that day and at the end of the week, you’ll compile a showcase CD of all your compositions. “The Music in My Head” is taught by a professional musician with years of live performance and studio work. No musical experience is required for this class. Teacher of the Year Franklin County Public Schools 2007, Teacher of the Year Franklin County High School 2018, First Place State of Virginia for High School Newspapers, 2012-present, First Place National Award from American Scholastic Press Association, 2013-present.